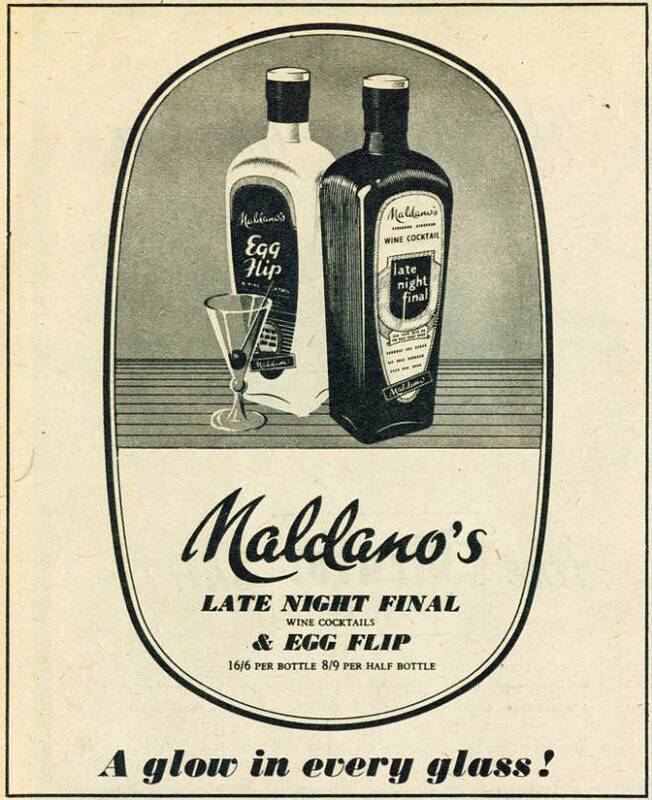 Maldano's Late Night Final Wine Cocktails and Egg Flip. 16/6 per bottle 8/9 per half bottle. A glow in every glass!